This house was originally brick Federal. It was built in 1825 for Walter Dunnington and was the home of Samuel Garland, Jr., captain of the Lynchburg Home Guard and Brigadier General, CSA, from 1851 until his death in 1862. From 1870 through 1872, the basement housed the boys' high school classes. The Garland family added the polygonal tower in the 1890s. After the Noell family purchased the house in 1901, architect J.M.B. Lewis added a new front porch, a rear frame addition and an elaborate Queen Anne interior. 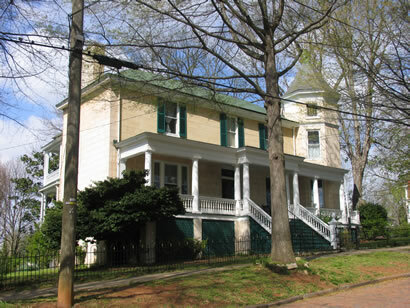 In 1985 the house received the Lynchburg Historical Foundation Merit Award for exterior renovation.